All good things must come to an end. We’ve slowly seen Facebook become less fun, Twitter is too crowded to keep straight, and Google+ … well, it was never all that good to begin with. The latest example of good things coming to an end is the changes that have come to Foursquare. Foursquare was launched in 2009 as a way to tell your friends where you are. Not only could you see where the best party or happening bar was located, you could also compete with your friends for points and mayorships. For each check-in, you received a number of points. For first time check-ins, you’d get more points, and there were bonuses for other things as well, such as checking into the same location on several consecutive days. You could see in the app which of your friends had the most points for the week. In addition, the person who had been to a location the most over the prior 60 days was “mayor”. You could also earn special badges for certain undisclosed check-in tasks. For example, you automatically get a badge if you check in on a boat. I took great delight checking in when going somewhere new, or when on vacation. I hold several mayorships at our favorite vacation destinations of Sunset Beach and The Homestead, for instance. Well, all of that fun is gone now. There is no longer one mayor per location. When you and your Foursquare friends both have checked into a location, the one who has checked in more is the mayor among your circle of friends. What this means is that there can be multiple mayors of one location. Everyone’s a winner! While the new system is being rolled out, all mayorships are frozen. Badges are gone. You’ll get to keep the badges you have, but they are being replaced by something else. What that something else is has not been disclosed. Now you can earn stickers. Yay! You can use stickers to express how you’re feeling during a check-in. Yippee. Word is that the changes came for two reasons. 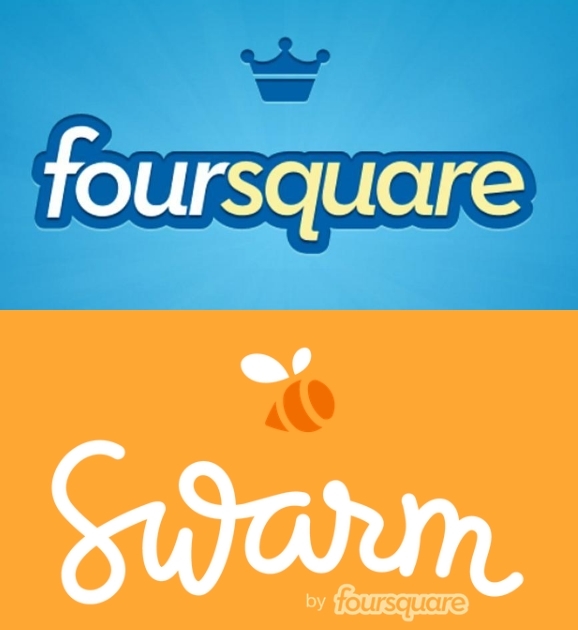 The first is that Foursquare is under pressure to monetize the service. Turning the primary app into a pure local search app helps with that. The second reason, Foursquare says, is that it got too big. With 50,000,000 users, it was extraordinarily difficult to become mayor of some locations. To me, that was the point of it. If something is difficult, it feels that much better if you attain it. I tell this to my kids all the time. I’m still checking in on Swarm, but I’m not enjoying it nearly as much as I used to in the “old days”. From the reviews I’ve seen, many Foursquare users feel the same as I do. I will most likely continue to use Foursquare as a local search app. I already did that when in an unfamiliar place if I wanted to find a restaurant. And, I guess that’s exactly what Foursquare wants me to do. But, really, I had a lot more fun doing it before.